Guatemala and Washington, D.C. May 26, 2011) – Four Directions announced today that they have joined the Global Sustainable Tourism Council (GSTC), an international initiative dedicated to promoting sustainable tourism practices around the world. The GSTC was founded in partnership by the World Tourism Organization, the United Nations Environment Programme, UN Foundation, Rainforest Alliance, Sabre/Travelocity and others. GSTC membership is open to all travel and tourism companies, organizations or individuals interested in sustainable travel. 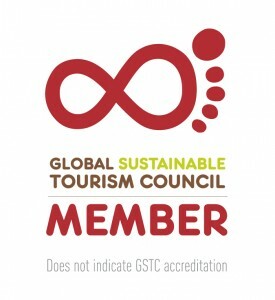 “Joining GSTC is for us a step forward in our commitment to sustainability as a global concept and sustainable tourism as the mean we are involved with, GSTC´s logo combining the infinitum symbol with the foot print of a traveler is a perfect example of a our shared responsibility towards a tourism industry that should last forever benefiting all the links in the business chain, especially local communities”, said Alfonso Muralles, Four Directions´ Founder and Manager. The GSTC includes partners from around the globe. The organization is currently active in Africa, the Americas, Middle East, and East Asia. More than 170 US cities have already adopted the GSTC Criteria including San Francisco, Miami, Maui, and Los Angeles. As a new member, Four Directions will work with the GSTC in its region to promote sustainable tourism principles as well as encourage the adoption of the Global Sustainable Tourism Criteria. As part of the initiative, each member commits to promoting the GSTC to its customers, vendors and peers. Sustainability principles refer to the environmental, economic and socio-cultural aspects of tourism development. A suitable balance must be established between these three dimensions to guarantee lasting sustainability. Information about membership can be found at www.gstcouncil.org. The Global Sustainable Tourism Council (GSTC) is a global initiative dedicated to promoting sustainable tourism efforts around the world. The GSTC works to expand understanding of and access to sustainable tourism practices; helps identify and generate markets for sustainable tourism; educates about and advocates for a set of universal principles, as defined by the Global Sustainable Tourism Criteria. The Criteria, a set of voluntary principles that provide a framework for the sustainability of tourism businesses across the globe, is the cornerstone of our initiative. For more information visit www.gstcouncil.org.